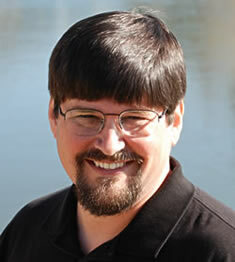 Tony Stoltzfus is a nationally-known Christian leadership coach and trainer. He works with senior leaders worldwide through www.CoachingPastors.com to help them engage God in difficult circumstances, clarify their callings and craft convergent ministry roles that maximize their impact in the Kingdom. In addition to co-founding the largest Christian coach training school, Tony is a well-known author and speaker on coaching, small groups, and leadership development. As a trainer, Tony uses a highly-interactive, adult learning approach to deliver practical tools that produce inner transformation. Tony has delivered nearly 100 coaching workshops, hundreds of tele-classes, and written a dozen coaching courses used everywhere from churches to graduate schools. He has also launched an Open Source Coach Training movement to bring professional coach training materials to non-profits and missions organizations. Click here to see Tony’s training calendar of workshops and course offerings. In addition to being the founder of the Christian Coaching Center, Tony runs a large Christian coaching bookstore at www.Coach22.com, serves on the board of a missions coaching organization, and is currently building a school focused around leadership character transformation. A Leader’s Life Purpose – new from Tony Stoltzfus.